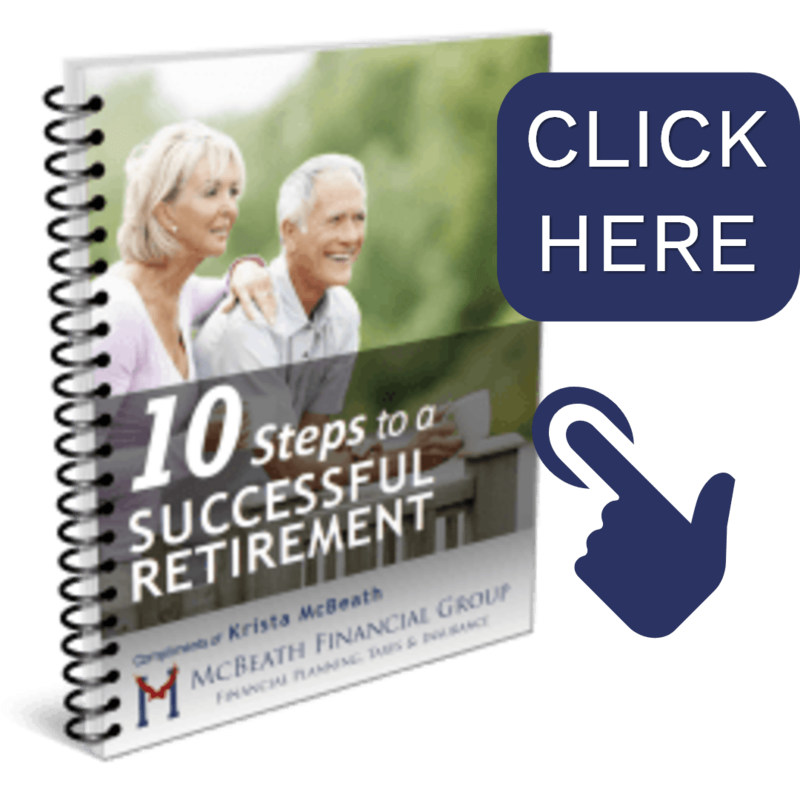 Home » Blog » Best in Financial Planning and Investment Firm, McBeath Financial Group Voted as Pantagraph Reader’s Choice! Awarded #1 for Best in Financial Planning and #1 Investment Firm, McBeath Financial Group is Proud to be The Pantagraph Reader’s Choice! 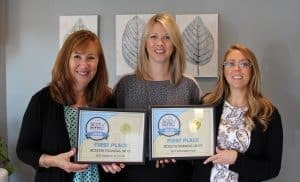 Yes, Pantagraph Reader’s Choice Awards for 2018 have been released and once again we were chosen as the readers #1 choice for financial planning! As unexpected as this was last year, we feel doubly blessed to have had so much support for a second year in a row! In addition to retaining the title for Best Financial Planner, we’re very excited to have been voted as the #1 Best Investment Firm! I know I said this last year, but once again I’m overwhelmed by the level of support from so many people that believe in us and support us to such a level to make this happen. Having so many community members that embraced us and want to see us succeed is a dream that every business owner has. From the very beginning when I started a small independent financial services firm, I put in my sweat and tears to do my very best for every single person I met with. The relationships built were as important as the integrity in serving and providing the best financial services that I could. It wasn’t an easy path, but this recognition is just one of the highest honors that has made it all worthwhile. I know for a fact that there are a lot of people that went out of their way to support us and voted for us, every single day! They wanted us to win, and constantly cheer for us like a NASCAR fan would for their favorite racer. Those are some of the people that we consider part of the McBeath Financial Group ‘family’ and part of our team! 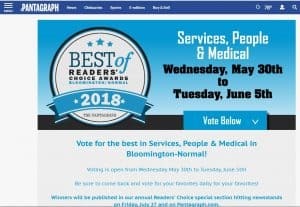 Others that voted for us were most likely those that we had informed about our Pantagraph Reader’s Choice Award nominations in several categories. We can’t thank those people enough for choosing us! We know every vote makes a difference and it means a lot to us. Finally, there must have been many people that chose us solely on name recognition and reputation! When I realize the other great institutions that were nominated, how long they’ve been around, and their huge advertising budgets, I’m just in awe. In a way, this feels like a David and Goliath story, where the community chose a small company, with a handful of incredible employees and a lot of passion, and showered us with love. This also says so much about the wonderful team that I work with, and I join the community in applauding them! Without my talented team, McBeath Financial Group wouldn’t be what it is today, and surely wouldn’t have been recognized. Starting with my charming executive assistant, Carol Ambler, who was first a client and now oversees so much that goes on in the office. In addition, we have Tara Allen assisting clients and accepting increasing responsibilities. Others also deserve credit, including our tax prep team of Jeoff and Susie. Also, there are many past employees that have helped us build and we still consider them part of our ‘Family’! I know I’ve gushed too long already, just like a celebrity at an awards ceremony when they play the music to get them to leave the stage! I’m truly touched and thank you! *McBeath Financial Group did not make any solicitation payments to the Pantagraph in order to be nominated or to qualify for nomination of the award of Best Financial Planner or Best Investment Firm. * By visiting this link to the pantagraph award winners, you can view all of the categories voted on and all of the winners chosen by voters, including McBeath Financial Group. Winners in each category were chosen by Pantagraph.com viewers who were given the opportunity to nominate and then vote for businesses or individuals in each class. McBeath Financial Group did not make any solicitation payments to the Pantagraph in order to be nominated or to qualify for nomination of the award. The official rules as were posted onsite by the Pantagraph have been duplicated below. Third-party rankings and recognition from rating services and publications do not guarantee future investment success. Working with a highly-rated advisor does not ensure that a client or prospective client will experience a higher level of performance. These ratings should not be viewed as an endorsement of the advisor by any client and do not represent any specific client’s evaluation. Please contact the advisor for more information regarding how these rankings and ratings were formulated.